CAT GROOMING IS SO MUCH MORE THAN SPOT SHAVING MATS! Whether you are an experienced groomer of 20 years, or this is your first introduction to the cat grooming industry, we are here to help you achieve your goals! 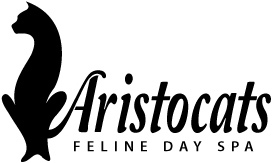 Sarah Warner, CFMG Certifier, owner of Aristocats Feline Day Spa is proud to be an approved trainer and certifier for the Nation Cat Groomers Institute. This means that no matter what stage you are at in your cat grooming career, we have hands on training suitable for you. Have you thought about taking your cat grooming skills further with certification? We can help with that too. As a certification association for cat groomers, the National Cat Groomers Institute of America, Inc. set the standards for cat grooming within the pet grooming industry. Certification drives groomers to provide the highest level of care and service and also assures clients that their beloved pets are in good hands. While certification is certainly not the only measure of a groomer’s abilities, it has been linked with higher earning potential and other rewards. In order to show one’s aptitude for performing the handling and grooming skills necessary in meeting those standards. NCGIA Membership is required for certification. Download the Personalized Private Instruction document. Payable by PayPal invoice within 14 days of making a booking. Fees are non-refundable. With adequate notice, fees may be applied to a later date.